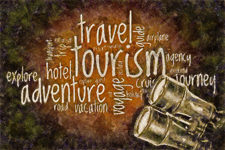 Because of the poor internet connection (dial-up) on the cruise ship, I was unable to post pictures of our stops along our Scandinavian Cruise (except for 1 photo in Oslo). Thus, I will now follow those original posts with photo albums showing what we saw and what was significant. 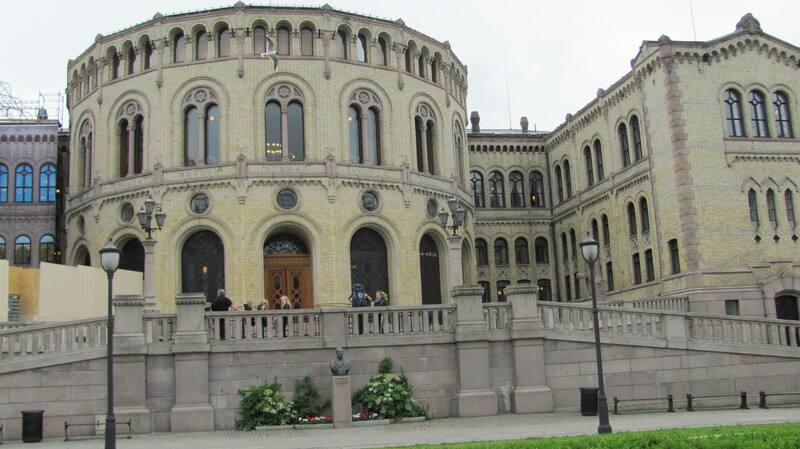 In Oslo, we eschewed ship excursions to take my Walking Tour of Oslo, both to check its accuracy and to fine-tune the walk. The walk began at Akershus Fortress, which turned out to be extremely convenient (we were docked directly across the street). 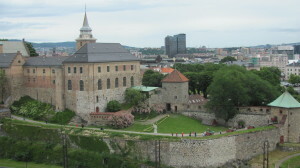 The castle (to the left in the photo) is one of Oslo’s oldest buildings (about 1300). From the fortress, we walked to the Cathedral (Domkirche), a Lutheran church which is the final resting place for many of Norway’s royalty. 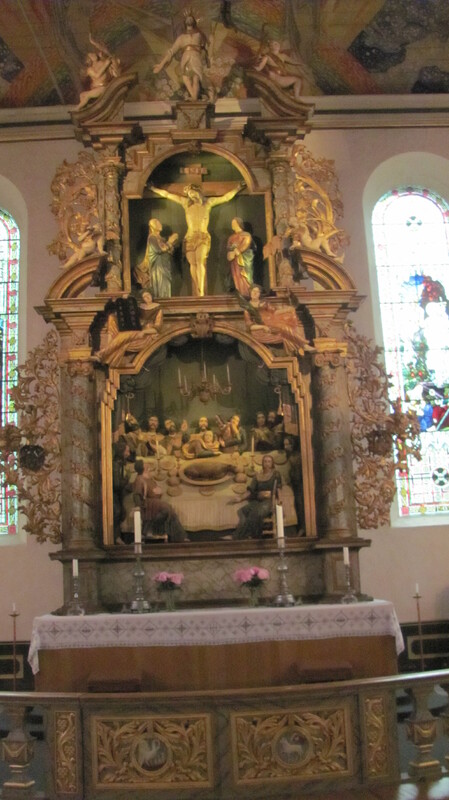 The altarpiece of the church is particularly striking. 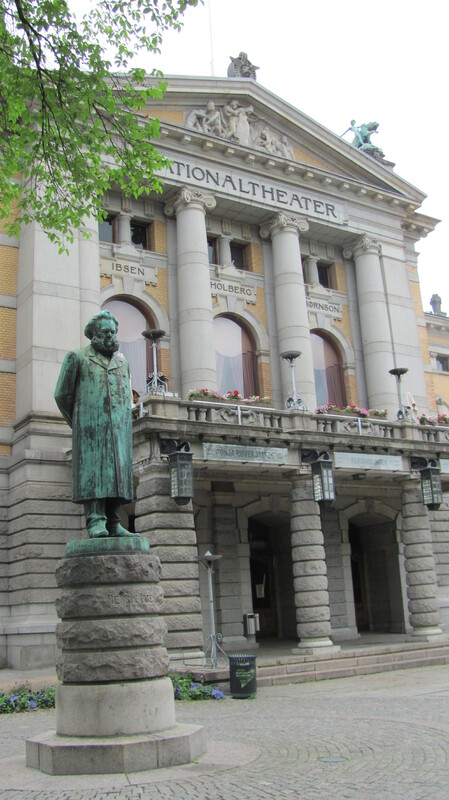 and the National Theater which features a statue of Henrik Ibsen, at the site where many of his plays were performed. 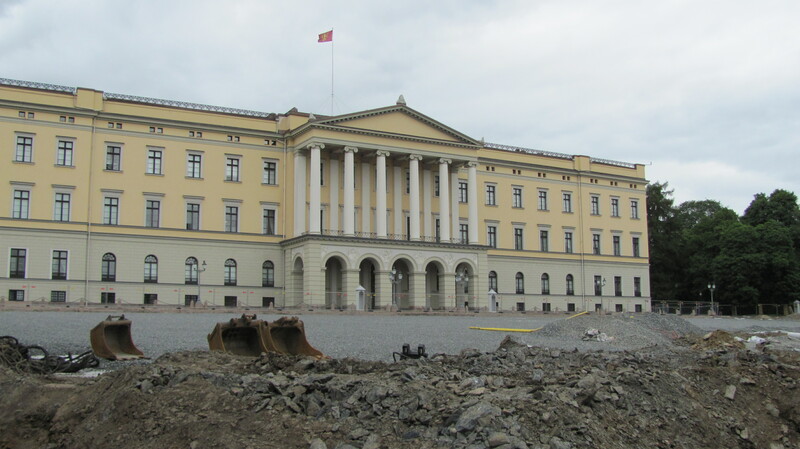 The Royal Palace was under construction but we were able to get close enough for the photo below. 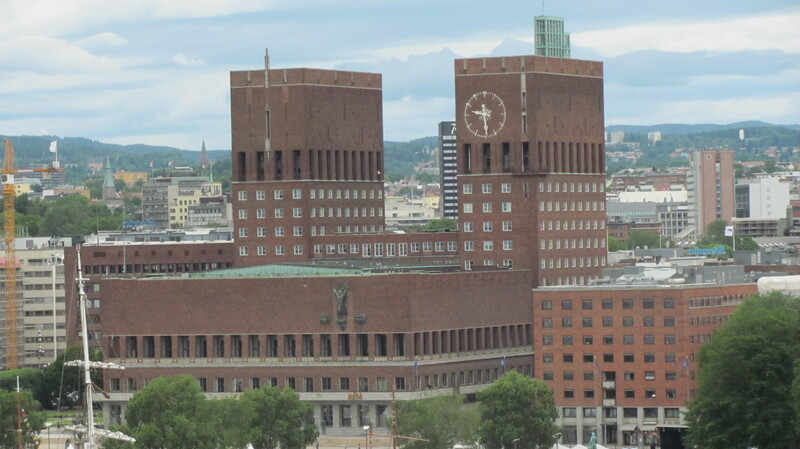 The most important tourist sight in Oslo is City Hall, an immense building which dominates the skyline. 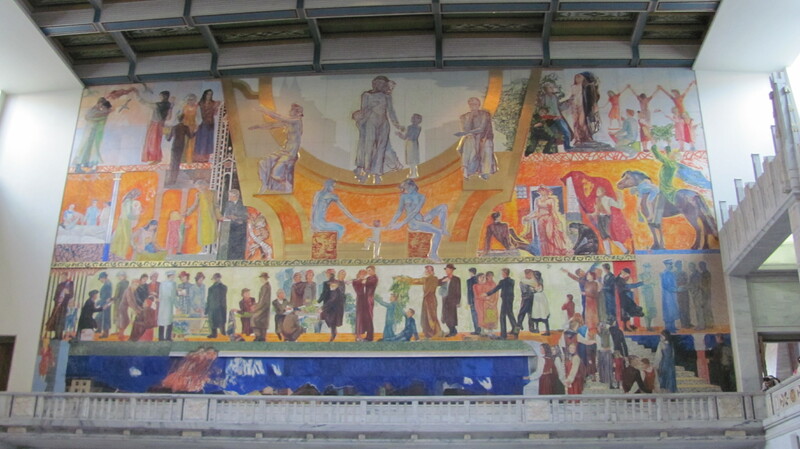 The interior is particularly noteworthy, with a huge mural on one wall and smaller ones along side walls. This is where is the Nobel Peace Prize is awarded annually in December. 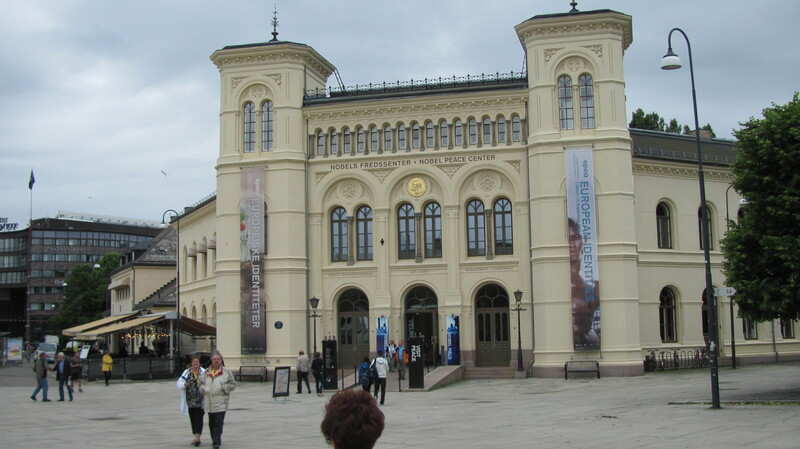 Across the square from City Hall is the Nobel Peace Prize Museum,a tribute to the pillars of humanity who have been awarded this prestigious honor. 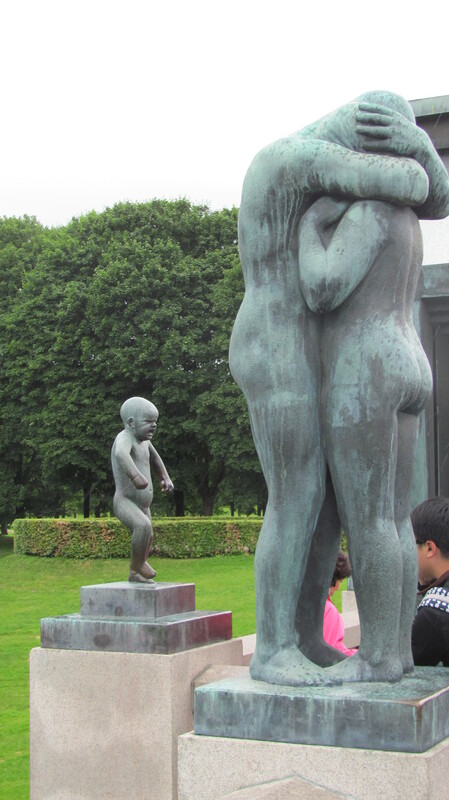 Angry Boy — a small statue along the bridge into the park, tucked behind another sculpture. 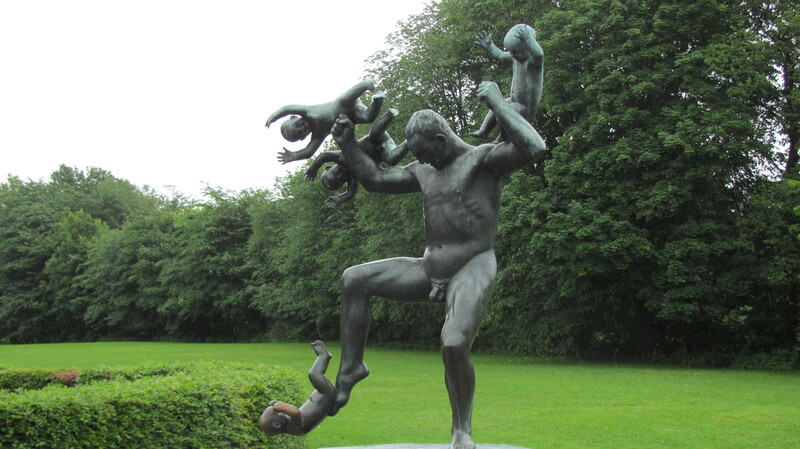 The focal point of the entire ensemble is “The Monolith,” a tall column of writhing bodies, attempting to claw their way to the top.